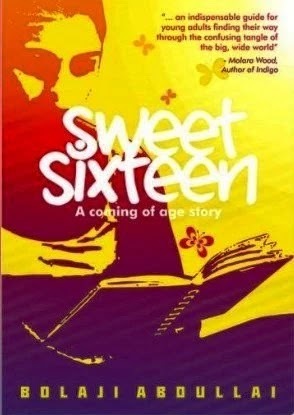 Who is the protagonist in the book sweet sixteen? To Aliya what is the meaning of being dumb? What is the title of chapter one of sweet sixteen? What is Aliya’s mother profession? What is the name of Aliya’s father? To Aliya being called a child is the same thing as? At the birth of Aliya what was he fathers profession? The name of the writer of sweet sixteen is ? What name disgusted Aliya most? ANS. You could call her chubby, plump but not fat. At What age did Aliya start wearing bra? ANS. At the age of ten. At what age did Aliya get into secondary school? What was Aliyas perception about her roommate Grace? ANS. She was a nice and generous person. made an A at the end of the term. What kind of girls did Mr. Bello say boys like? gave her on Valentine’s day? What is the title of Aliyas 16th birthday letter? What was Aliya’s sixteenth birthday present? ANS. A portable digital Camera. What was so special about Aliya’s 16th birthday letter? bathroom on Aliya 16th birthday? What sickness was Aliya suffering from? asked if she could return the teddy to bobo. ANS. “Well is a decision you have to make for yourself”. discussion and secondly tokunbo travelling to Ireland. What is Bobo’s real name ? she spoke who is this? What surprised Aliya about her 16th birthday letter? considered by Aliya’s mother for her father is? Who is the king of boys according to the novel? What was the name of Aliya’s mathematics teacher? was this statement referring to and why? What was people’s perception about Grace? embossement given to Aliya by Tokunbo? off five minutes allowed to each question. What was the title of Aliya’s 12th birthday letter. At primary school,Aliya’s father was working with a?